This is the first Consolidator Grant in the area of History awarded by ERC to a Portuguese researcher. 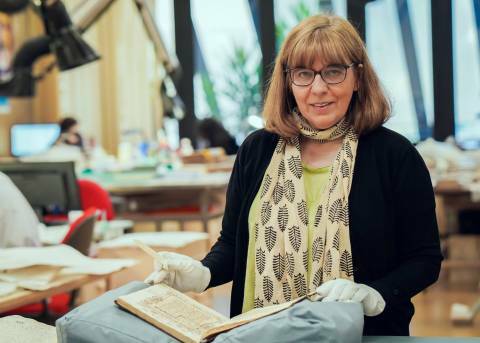 The European Research Council (ERC) awarded Professor Maria de Lurdes Rosa, from NOVA School of Social Sciences and Humanities (NOVA FCSH) and researcher at Medieval Studies Institute, a grant worth 1.6 million euros. This is the first Consolidator Grant in the area of History awarded by ERC to a Portuguese researcher. This funding allows continuing to study the history of the morgados in the fourteenth and seventeenth centuries, in a comparative perspective, in Portugal, its Atlantic spaces, and other southern European societies. «This grant will allow us to continue the work we started in 2008», says Maria de Lurdes Rosa, adding that «it is an important recognition that makes it possible to consolidate a research team with hard evidence and much work to be done». Over the next five years, the ERC grant allows hiring five postdoctoral researchers and four graduate students. This team will study various archives between the fourteenth and seventeenth centuries, scattered throughout the country, both public and private, highlighting those still belonging to families. These will helpdrawing a picture of the organization of society at that time, namely the establishment of the morgados, a form of social organization extinguished in the nineteenth century. Consolidators Grants are awarded to researchers with seven to twelve years of experience after their PhD, with promising work in the area they intend to develop and an excellent research proposal. Between the fourteenth and seventeenth centuries, around 7000 morgados and chapels were founded in the territory that is today continental Portugal, as well as in the Atlantic spaces that the kingdom colonized during this period. They became indispensable to the nobles in maintaining the statute; and, for other groups, were the typical mechanism of social ascension. An important part of the documents for the foundation and organization of these 'links' (name given to the various types of property covered by the project) are privately owned and have never been studied by historians. The main task of the project is the creation of a huge documentary database, which will then be available in open access, and will also include historical studies from the material collected. Know more at the website of NOVA FCSH.